We are thrilled to have guest writer, Cheyenne Deleo — lifestyle blogger for Simply Healthy — filling us in on her favorite quick and easy side dish! Cheyenne is 18 years old and uses her blog as a platform where she can share recipes, DIY’s, beauty hacks and life lessons. Two of her passions are writing and helping people, so she decided to combine them and create her blog eight months ago. She looks to inspire more people to live a healthy lifestyle. If you’re looking for a healthy side to go with your next meal, then I suggest trying spinach. This green leaf is very versatile. You can either eat it as is or in a smoothie. You can even bake it or put it in a soup. Whatever you decide to do with it, spinach will always taste amazing and add a healthy factor to any meal. 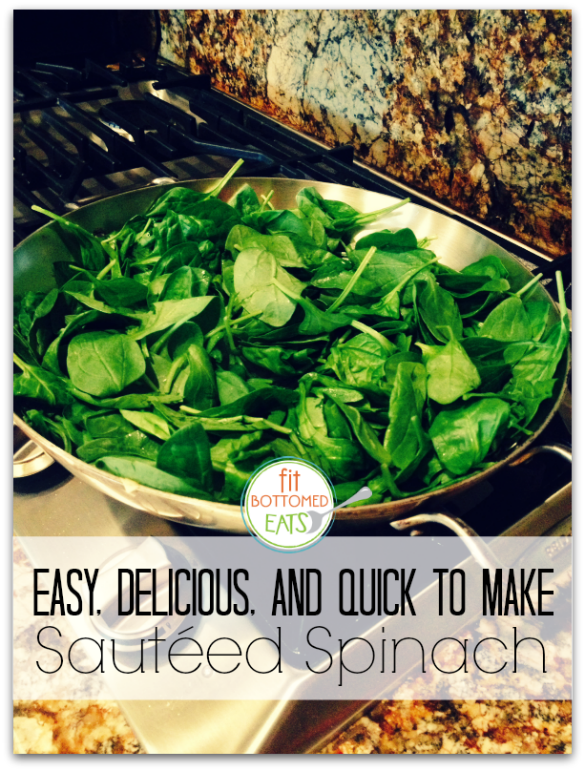 One of my favorite ways to serve spinach is sautéed. It is easy, delicious and quick to make. You will only need a bag of spinach, garlic, leeks, olive oil and seasoning. The first thing I like to do is drizzle olive oil in a medium-sized pan with leeks and garlic. I like to keep it covered for a minute or two so the leeks and garlic can start to brown. Next, you can pour in the entire bag of spinach or one handful at a time. I usually like to season it with salt, pepper, garlic salt and oregano — although you can season it with the herbs of your choice. Make sure to keep the pan covered and check it regularly. You want the spinach to shrivel up and get brown, but you want to be careful not to burn it. Once the spinach shrivels up and the leeks are brown, you can place it on your plate as a side dish or you can make it a meal on its own.